Location of the OBD connector (diagnostics connector) varies from car model to car model. While it is easy to find it in most cars, it is more challenging for others. OBD connector is usually located near the driver’s knees or under the arm rest. 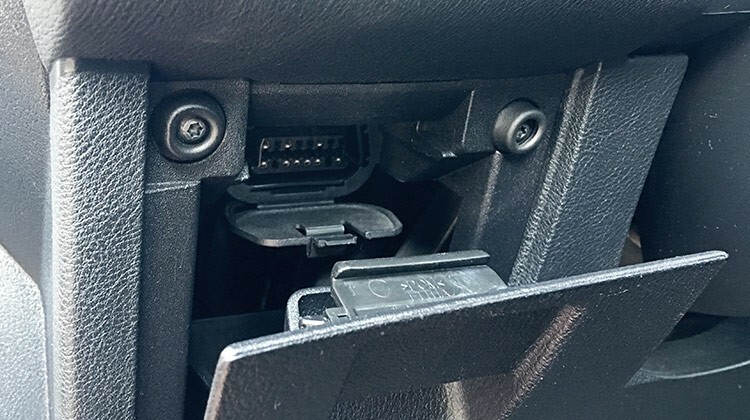 Some cars have OBD connector mounted under a hatch that can not be closed, or under the dashboard plastic that can not be mounted back after the CarLock device is installed. Other cars have the OBD connector located in a place that makes the device too visible or even restricting you when reaching for pedals. If you want to use CarLock in a car with restricted access to the OBD connector or just simply want to hide the device, we offer special cables that solve this problem. 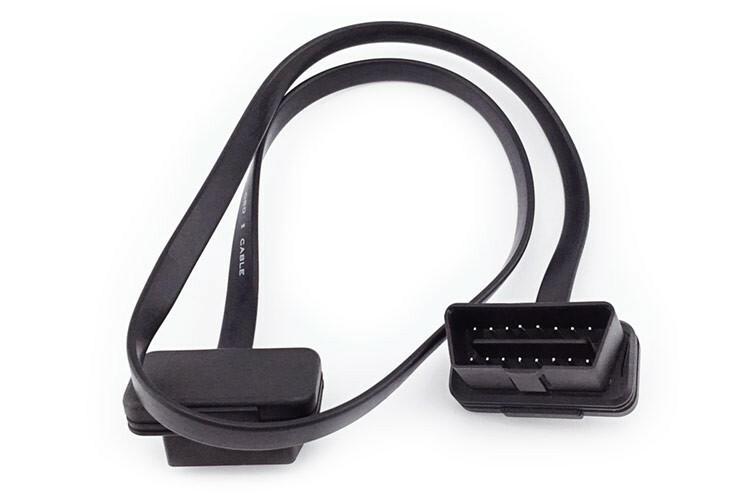 The slim extension cable is a great solution when the OBD connector is located too close to the pedals and there is a possibility that you will bump the device with your feet while reaching for pedals. With its low profile, it is especially useful when a hatch or dashboard plastic does not provide enough clearance to install the device. In some special cases where even extension cable does not solve the clearance problem, you need to use the OBD power adapter. The power adapter enables you to mount the CarLock device in a convenient place away from the drivers feet. The power adapter requires professional installation by an auto electrician, who needs to connect the adapter to the car’s electrical system with a constant 12V power supply. The adapter can also be a great solution to hide the CarLock device somewhere in your car. You just need to be careful not to install it under a metal surface. What about my classic car that doesn’t have an OBD connector? The OBD power adapter will work in any car with a 12V battery even if it was built before 1996 and doesn’t have an OBD connector built-in. How to find OBD connector in your car? 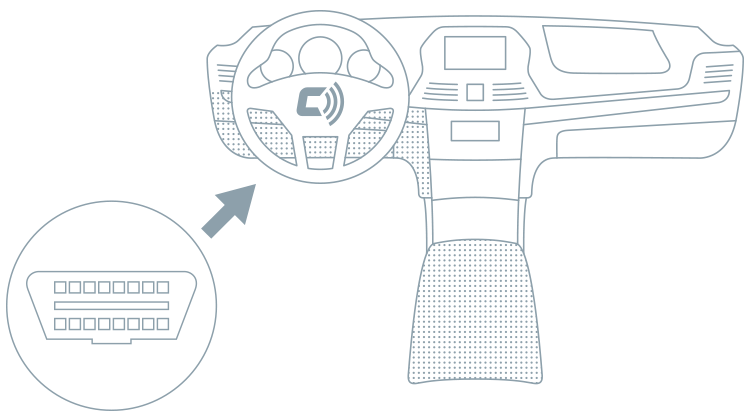 The OBD connector is usually located near the driver’s knees or under the arm rest. All cars from 1996 have the standard OBD connector built-in. Not sure what cables you need for your car? Just fill up our ‘will it work with my car’ assistance form and we will help you find the OBD port and choose the right cable or adapter for your car. Check now. The OBD power adapter enables you to install a CarLock device on any motorbike with a 12V battery, so you can have both your car and your motorbike simultaneously monitored on your CarLock account. If you have any questions or suggestions about the extension cable or the power adapter feel free to contact us. As always, we really appreciate your feedback. Thank you.